Indigo Swimming Pools and Outdoor Living is a family owned and operated swimming pool construction company, and outdoor living retail center. Let us help you turn your backyard into a personal oasis. With Indigo Swimming Pools and Spas, every new construction or renovation project is unique. It starts with design and making that design work for you and your home. Every project is personally supervised by the owner of our company. During the project you will always have direct contact with the owner throughout all phases of the construction process. 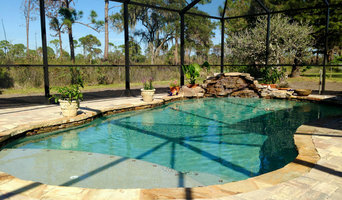 A & D Pool is a custom pool building business. We will work with you to produce a pool that you will be very proud of and will enjoy for many years to come. Our team has years of pool experience. Let us put that expertise to use in building a pool for you. Building high quality pools is a tradition that is very important to us and one that we strive to continue. We are also committed to providing extraordinary customer service. 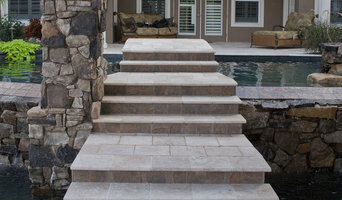 We want our customers to enjoy the pool building process as well as the finished product. Come visit our store in Sarasota, FL! Lifetime Pools is an A+ 5 STAR Rated Family Owned Custom pool builder with years of experience in Lakewood Ranch, Sarasota, Bradenton, and other surrounding communities. We were VOTED #1 In Customer Satisfaction! We will build your New Pool or Remodel you existing pool as if it were our own! The Three Pillars of Lifetime Pools are: Honesty - Integrity - Excellence. We believe we here at Lifetime Pools are the best pool builder and pool contractor in Lakewood Ranch, Sarasota, and Bradenton All of our Pools come with a Lifetime Warranty! Call 941-313-3388 for your Free Estimate Today!" Design Concepts & Construction Inc.
Design Concepts & Construction is family owned and operated and was established in 1990 in southwest Florida. With over 30 years of construction experience, our focus has always been on the overall quality of every swimming pool. We build superior pools by working smarter and harder to exceed the nominal requirements set by the standard building codes. Ken Pisano, owner and operator stated, “The reputation of Design Concepts speaks for itself in the amount of referrals and repeat customers that we have.” He credits his son, Michael, with the introduction and use of sophisticated design software to create and present the most innovative design concepts. Ken further explains, “For us, building pools is not just a job, it is our true passion.” Seeing the initial concepts become a reality and having fully satisfied customers are our greatest rewards. By using the highest quality materials and taking advantage of the latest technologies, we ensure that each pool is constructed soundly and efficiently. Our attention to detail, commitment to understanding our customers’ wishes, and competitive prices elevate Design Concepts above other swimming pool companies. For four generations, the LaGasse family has been building and designing outdoor hardscapes in the Sarasota region. The LaGasse's built various businesses over the years, including LaGasse Design Center. In 1957, the pool company was born - one of the first pool companies in Sarasota. 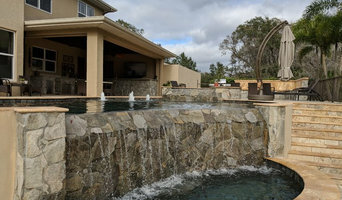 We have built a solid reputation for innovative quality swimming pools, spas, and water features for new and existing pools and spas in the Sarasota region. LaGasse Pools & Service, the newest division of LaGasse Design Center is led by Steve and Robin LaGasse. We build the pool, you make the memories. Looking for trusted and experienced pool coating specialists? Locally owned and family operated pool finish plaster contractor serving Fort Myers for over 20 years. Infinite Pools specializes in professional pool coatings. Bring that elegance and look to your pool with a luxury pool coating applied by true professionals. Our business comes from our referrals because we deliver the best service. Infinite Pool Finishes specializes in quality, standard and lifetime warranty pebble interior pool and spa finishes throughout Southwest Florida. With over 20 years experience, Infinite Pool Finishes only uses the finest products giving you a lasting look and feel that will last the test of time.